The University of Central Lancashire was recommended to me whilst I was searching for Hospitality Management courses, as they are one of the best for the courses within the UK. I feel the United Kingdom has a great culture with a welcoming community, especially within Preston. The education at UCLan provides a variety of innovative learning styles with a high level of academics who all have industry experience; which they can transfer their knowledge and experiences to guide and prepare us for our chosen industries. One of the highlights of International Hospitality Management at UCLan were the field trips that provided a hands on experience and also allowed me to bond with my course mates. The variety of overseas placements that the University contact us with is a great help when trying to find an international placement, in UCLan allowing me to participate within a placement year provided me with industry exposure; which you don’t typically obtain at other universities. My lasting memories of UCLan will be the great help, support and guidance I received from my lectures throughout the four years. As an international student, it was a culture shock and I originally struggled getting used to the environment but through the amazing support I received I began settling in and began to make friends. My personal tutor was one of my main supporters who helped and guided me through the transition of moving to the United Kingdom. 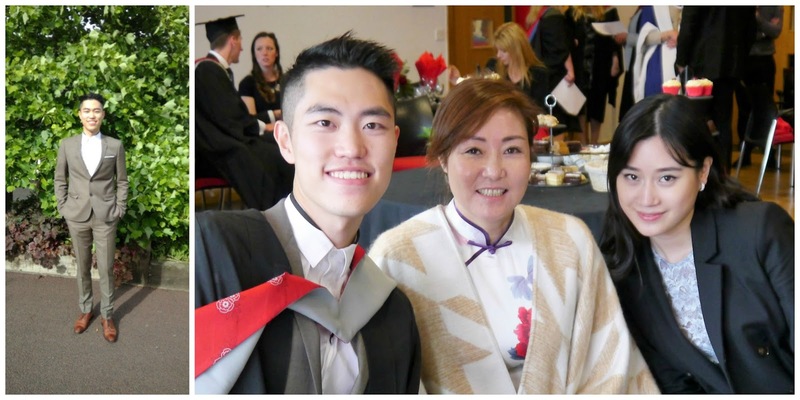 Another example of great support I received from UCLan was during my placement year, where I had a crisis of confidence regarding my ability to do the job to a high enough standard whilst I was in Hong Kong. My lecturers Louisa Jones and Jane Shaw visited me to help me overcome my concerns so by the end of the placement I didn’t want to leave. Their assistance has enabled me to successfully challenge myself and never give up at the first hurdle. Now that I have graduated I will be continuing my academic journey by studying a Masters in Sciences of Business Management at the Hong Kong Polytechnic University.